I’ve discussed God intervening, now for a slightly different and just as valid angle. 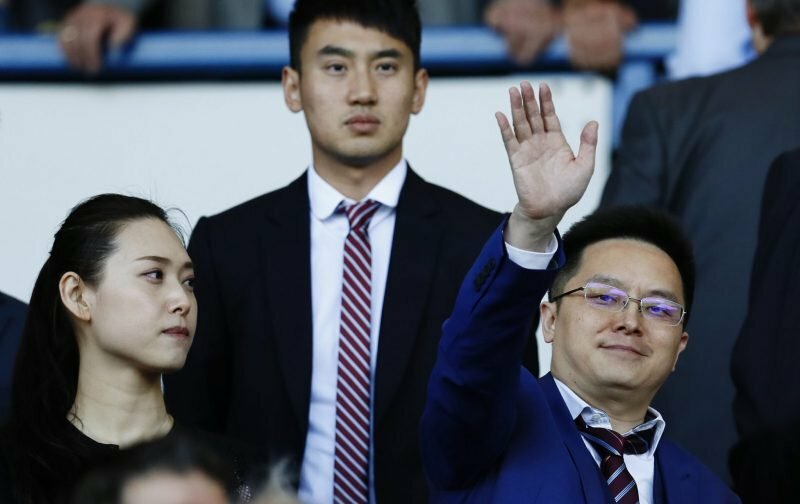 The Birmingham Mail says of the meeting; Xia has called a board meeting for tomorrow which will take place in London. He won’t be there, as he remains in China, but technical director Steve Round, chief commercial officer Luke Organ, director Tracy Gu and executive assistant Rongtian He will be, while the chairman joins in via a conference call. This tweet suggests it might just have been ever so slightly important that the owner is at the club leading. I understand in this modern world where communication is simpler than ever, you don’t have to be at every meeting and can do things via conference calls, but this is a crisis meeting, this is about finding a way forward for our club. I found Xia’s tweet after two weeks whingy and silly. A few stuck up for him, I certainly didn’t. I know it looks harsh, but instead of going silent, then slowly pointing the finger of blame elsewhere, he should have been over here and leading the line, assuring staff and communicating properly (when proper communication was possible) with the lifeblood of this club, us fans. Instead, he was back to China and silent. That, ladies and gentlemen of the claret and blue persuasion, is not a leader, a Villan or a businessman. A worrying take on it from Supa China News… not saying it is any more accurate than any other of the reports flying around, but it is an interesting read. I’m off for an op on my kidney stones tomorrow, I bet that will be less painful than seeing what is going on at Aston Villa. I know it’s all the rage to go to swanky London, but is there not an office in VP or Bodymoor that could be used? Are fans supposed to think the cash flow problems are over or are appearances more important than practicality? Yup, board rooms aplenty MF.. madenss isn’t it? Best wishes Jonathan ,with the op. Rosary prayer for you from OUR Lady of Lourdes. with AVilla’s soul. There’s no excuse for hiding repent and face salvation by apologising to fans. Need that statue of Lourdes in the tunnel and Boardroom. St Bernadette pray for us all ,amen. Ave Ave,Ave Maria , ave ave save our villa. Amen. I’ve called her now,there’s no where to hide, XIA.